Handmade decorations made from polymer clay, metal leaf, glass beads and wire. Colour and size will vary from piece to piece as each is made individually. Each has a hanging loop. Carriage £2.00 per order (regardless of number of items ordered). 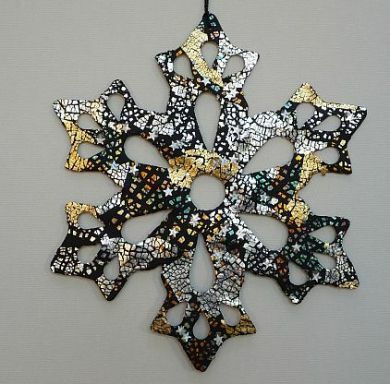 Dimensions: Length without hanger each decoration 40cm.